The macabre and lurid tales of Edgar Allan Poe are vividly brought to life - and death in this stylish, gothic thriller starring John Cusack as the infamous author. 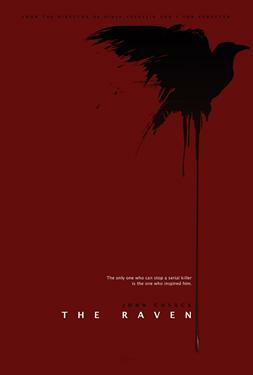 When a madman begins committing horrific murders inspired by Poe's darkest works, a young Baltimore detective (Luke Evans) joins forces with Poe in a quest to get inside the killer's mind in order to stop him from making every one of Poe's brutal stories a blood chilling reality. A deadly game of cat and mouse ensues, which escalates when Poe's love (Alice Eve, She's Out of My League) becomes the next target. Intrepid Pictures' The Raven also stars Brendan Gleeson (In Bruges) and Oliver Jackson-Cohen (Faster).